Just how rough a life do Great White Sharks have? We have talked about the amazing healing power of these amazing animals here and it looks like they really need that ability to heal. Chugey, the shark we were talking about in that blog, is back at Guadalupe Island and it looks like that he hasn't gotten any more careful since he got his face bit. He is sporting some brand new bite marks to add to the scars from his previous bite. As a reminder, here is what he looked like 2 years ago. Here is what he looks like with his old scar and new bite marks. It's great to see him back at Guadalupe acting like nothing happened. I continue to be blown away by both their ability to heal and never showing any signs of discomfort or indication that they are in pain, when swimming around with severe bite injuries. 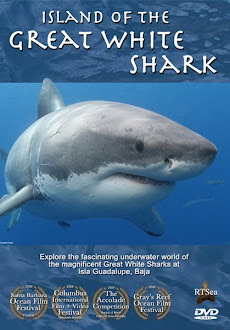 Chugey is one of our "original" sharks at Isla Guadalupe, having visited the island every year for well over a decade. Tonight we leave on our first science dive of the season. Nicole Nasby-Lucas, who is of course the person responsible for our photo ID database, will be coming out with us. Thanks to her, we can individually identify the sharks and also have a history of when they visited Guadalupe Island. We have seen a few new sharks this season and I cant wait for her to add them to the database. If you would like to come out with us, we only have two spaces open for this season, one each on September 19-24 and on November 5-10. We are also booking for next season and some expeditions are almost sold out. Don't miss your chance for an amazing trip of a lifetime. 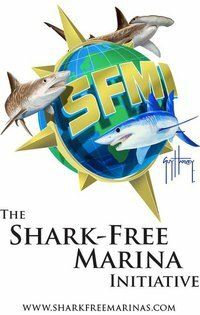 Call 619.887.4275 or email us at staff@sharkdiver.com for more information or to reserve your space.